By now, you probably know the news. The league's third leading rusher and reigning rushing champion Ezekiel Elliott has been suspended for six games, rendering the Cowboys without their lead back until mid-December. We could talk about whether the process was fair or not, or if the NFL has now taken over a judicial power which will be dangerous going forward, but we want to know how this all affects the football team, right? I'm going to pretend the answer to that question is "yes," so we can discuss what the film says about the Cowboys running game going forward. 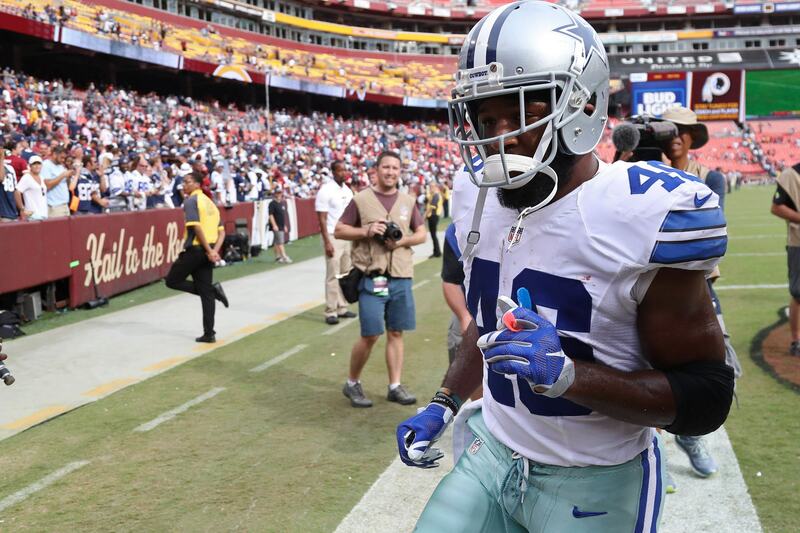 Dallas will try to replace Elliott with three running backs: Alfred Morris, Darren McFadden, and Rod Smith. Both Morris and McFadden are former 1,000 yard rushers, and Rod Smith has rightfully become a fan favorite over the past few months. 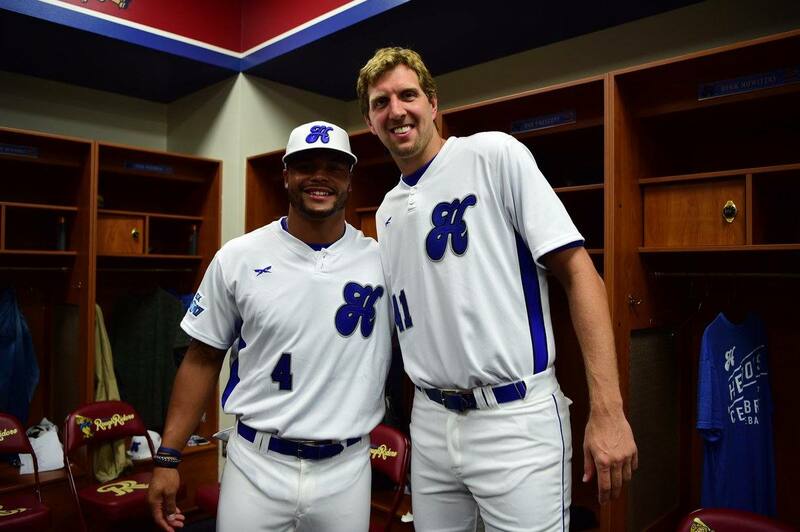 But, of course, they aren't Zeke. It has become a common take that the Cowboys offensive line is good enough to create rush lanes for any back. Though it's agreed upon that Elliott is an elite-level back, their offensive line is also top-tier, and "plugging" in a different back should still bring good results. To a certain extent, this is true. 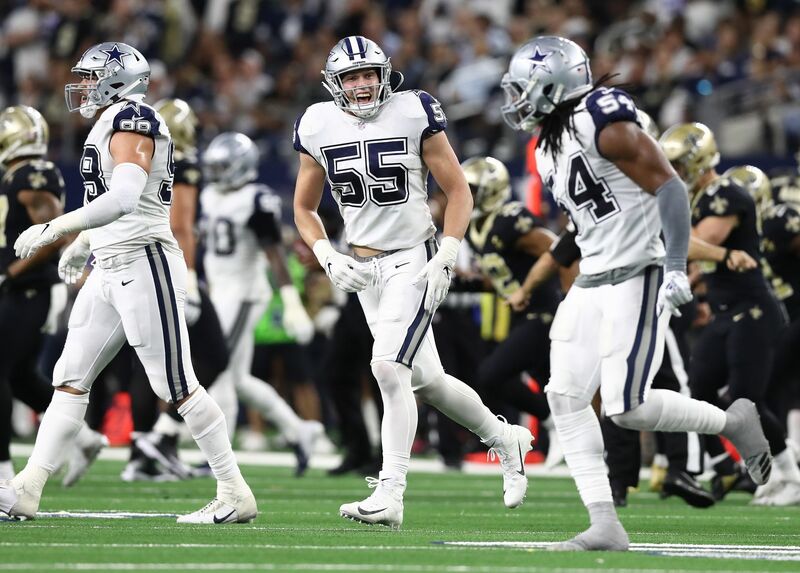 The Cowboys are one of the best teams in the league in terms of now allowing penetration, something that obviously helps the run game. We have seen Elliott break through the line untouched multiple times, making it seem like a different running back could have seen similar success on that snap. What is missed, however, is how Elliott's vision and burst through the line of scrimmage make him so special. Last week against Washington we saw some fantastic examples of how special Elliott is. On an outside zone play here, the offensive line does a great job getting to their aiming points and moving laterally. On the backside, Jason Witten cuts off the EDGE defender, creating a cutback lane for Elliott. On the playside, Jonathan Cooper is late coming off to the SAM backer, allowing him to get into the backfield before contact. Elliott sees this developing, and immediately cuts to the backside for a big gain. Both his top-tier vision and excellent burst are seen right here, as Elliott goes "untouched" for a chunk play. As we have seen over the last year and a half, Elliott can get you big plays on the ground despite missed blocking assignments. Even if a line of scrimmage defender beats one of the Cowboys linemen, Elliott can make people miss and find positive gains. On the other hand, Morris and company aren't really going to give you that. For Alfred Morris to run for one of those "chunk" plays, the blocking upfront will need to be closer to perfect. This will put greater responsibility on the passing game, specifically the short passing game, to create that yardage in different ways than Elliott. It will also be important for the Cowboys to stay on schedule on first down. With Elliott, they have been able to simply hand it off and get 3-4 yards with relative ease. 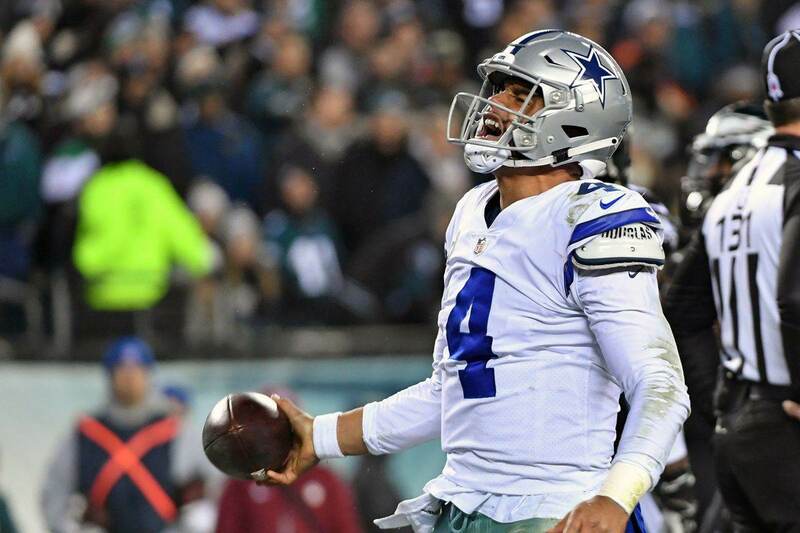 This keeps the Cowboys ahead of the chains and makes things easier on Dak Prescott. Dallas has to find a way to stay consistent on first down and keep themselves out of second/third and longs. Lastly, as I discussed last week, the Cowboys have been running more gap-scheme plays lately with Jonathan Cooper at left guard. This should be helpful to McFadden, and also makes reads for the running backs simpler than they are in zone schemes. Hopefully, this can take some of the load off of these replacement running backs. So, while it will certainly be a tall task to keep this offense rolling without Ezekiel Elliott like it has been since Arizona, I do believe the Cowboys have the personnel to potentially make up the difference.